Pagudpud, Ilocos Norte has a lot to offer when it comes to fabulous beaches and breathtaking views. Known as the Boracay of the North, Pagudpud has easily captured the hearts of beach enthusiasts wishing to enjoy a relaxing vacation in an amazing resort. Also known as the Burgos Lighthouse. It was constructed during the Spanish Colonial period and was finally completed and shed its first light in March 30, 1892. Being in existence for over 100 years, the lighthouse still functions at present and welcomes international ships as they enter the Philippine territory. Wonderfully set on top of a hill, this lighthouse gives you a panoramic view of the South China Sea. Boasting of its pristine, white sand beach, the Saud Beach Resort has been a favorite destination for tourists wanting to spend a relaxing weekend over the beach. Also, the resort offers some exciting activities for their adventurous guests like snorkeling, scuba diving, wind surfing, beach volleyball etc. The Blue Lagoon also boasts of having clear, pristine water and white sand beach. Unlike Saud Beach, Blue Lagoon is one of the hidden beauties of Pagudpud where you need to take at least a 20-minute ride from the main highway. The resort offers beach cottages, but resorts are not present in this part of the area, leaving you with nothing but to appreciate the utmost beauty of the place. Situated for about 1.8 kilometers from the highway, a 30-minute trek would be required to get a glimpse of this magnificent sight. A local tour guide will be with you on the way so you don’t have to worry about getting lost. Giving you a small treat to your path to the Kabigan falls, you shall feel the cool water against your feet as you get closer. 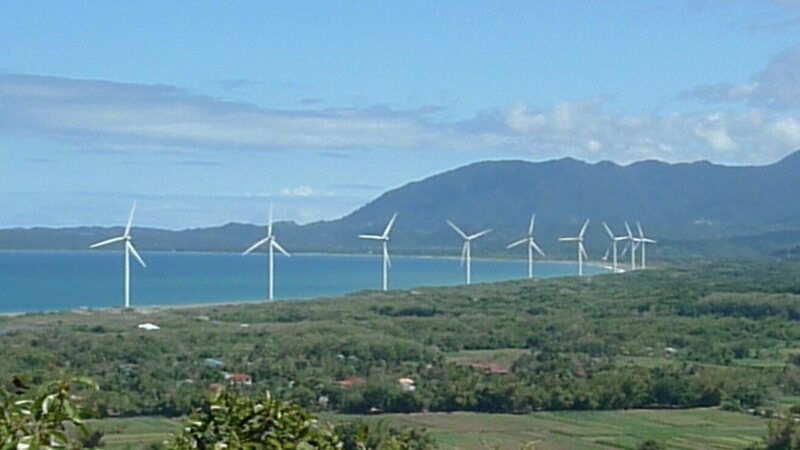 Stretching along the shoreline of Bangui Bay, the Bangui wind farm features 15 enormous wind turbines. It has grown popular among tourists as they make sure to stop over this area before leaving Ilocos Norte. These turbine are created to produce electricity; thus helpful in providing electricity to the province. Get your swim wears and sunblock ready and enjoy the cool, salty water and white sand beaches of Pagudpud, Ilocos Norte.